In 2006 Liam conceived the idea for Ditch the Label. Six years later, after he graduated from the University of Sussex, he began to develop the anti-bullying charity of which he is now the CEO. He is also Managing Director of Hackett and Tiger Ltd, the digital marketing company. Unsuspectingly, the year 2001 was a pretty big year for me. I was ten years old and the first ever Harry Potter movie came out. No, before you ask – I didn’t receive my letter from Hogwarts (I suspect that got lost in the post) but I was bought a Harry Potter poster for my bedroom. At the time, I couldn’t explain what was going on but I just remember being drawn to this poster. It was just a photo of Harry Potter but for whatever reason I had a constant urge to just look at it. A few months later, I stumbled across an old Steps CD and had something very similar with ‘H’ aka Ian Watkins. I would just sit there for copious amounts of time staring at his face, but couldn’t logically put 2 and 2 together. In the background, I had always been bullied at school, right from a very early age. I was different to the other guys in my class from the word go. I wasn’t particularly interested in sports and was more interested in hanging around with girls, so I was a very easy target from the offset. When I moved on to high school the bullying got significantly worse. I remember coming home asking my mum what the word gay meant because I had been called it earlier that day. My family are the most open and accepting family ever and so I had always felt like I could speak up about anything and I always knew that I had complete unconditional love, which was great and I knew that not everybody had that. I was often very vocal about the bullying at home and was always confused as to why people were constantly calling me gay and saying things like “backs against the wall” in the P.E. changing rooms. At this time I had absolutely no idea that I was gay, in fact I had a girlfriend! So fast forward a few more years and I'm 15 and feeling incredibly unhappy and alone. The bullying got worse was all centered around homophobia. "I can remember Googling things like 'How do I stop acting gay?' and, 'How do I deepen my voice?' because these were some of the taunts that would always crop up." My self esteem was so low and I had so much resentment for myself – I hated the person I had become. Why couldn’t I have been like all of the other 'lads' in my class? Why me? Against the backdrop of bullying, I had started to realise that I had growing feelings for guys, as well as girls but always denied myself those feelings as I had been conditioned to believe that they were wrong by my peers at school. To me, the reason I was being bullied was because I was gay and so in my mind, being gay was a negative and undesirable thing and that was the reason for the torment. "At this point I felt so ashamed about the bullying and about my sexuality, I found it very difficult to open up to anybody about it – I just wanted it to go away." I had suspected that one of my friends from school was like me. We were in the same friendship circle and I felt like I could trust him. It took me weeks to bottle up the courage but one evening I was talking to him online. I had built up a dialogue and eventually just spat it out: “I think I’m bi and I fancy you”. I cringed so heavily as I clicked the word “Send” but knew that I had done the right thing. I had feelings for this guy and I felt like he had them too… so why not? I waited for what felt like eternity in complete anticipation. “I feel the same” he responded. Oh my god, I was in complete euphoria. "I had met somebody that was like me. I was no longer alone and everything was going to be okay." The next morning I made extra effort with my appearance, thinking about seeing this guy later on in the day. I felt anxious but really excited and also didn’t have a clue what to expect. I had already planned out in my head how I thought seeing him would go. I had even thought about our first date. I couldn’t sleep the night before because I was just so excited. As soon as I entered the school gates, something didn’t feel right. Sometimes in life, you get a gut feeling about something and more often than not it’s usually correct. To my horror, I had found out that this guy had taken screenshots of our chat conversations and was circulating them around the entire school. He had told all the tough guys that I had a crush on them, which was completely fabricated and at lunch time I was sent home after having my head kicked in by one of the 'tough' guys. That was my first experience of coming out. The final year of school was the hardest. At one point I was hospitalised and had to have stitches on my face after being beaten up by a gang of tough guys outside of school. As it wasn’t in school, I was told that not much could be done. 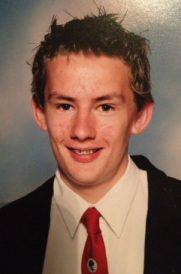 One evening I found a 'Piczo' website that had been made about me online with rumours of my sexuality and a guestbook that enabled people to anonymously post comments about me and my appearance. At this point it was just completely unbearable. I had built up so much hurt and rage over the past 10 years and something had to give. At the time I hadn’t spoken to anybody in my family about being gay and had constantly dared myself to say something but had never had the courage. "I walked in to my mum’s bedroom and straight away she could see that my eyes were pooled with tears." She asked me what was wrong and I just spat out, “I think I might be bisexual” – okay, not a total come out but definitely a stepping-stone. My mum paused for a moment, she asked if I was sure and I said yes. She came over and hugged me and told me that she loved me unconditionally and to her it didn't make any difference what-so-ever. I immediately felt like weight had been lifted from my shoulders. High school eventually came to an end and I achieved majority A*/A grades. 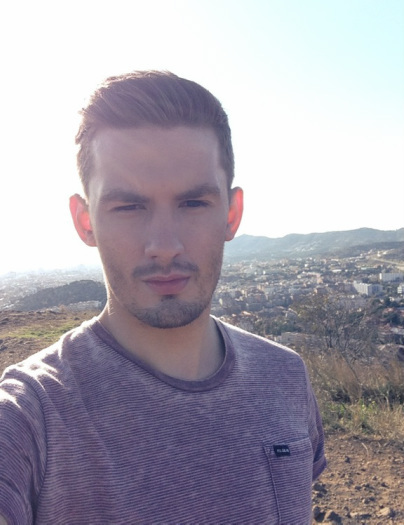 I moved on to a leading college to study Business and Management, Computer Science and English Literature and during my time at college, I met so many different people from all walks of life who had been bullied for different things. I really found myself at college and started to date a guy, who I thought I was madly in love with but unfortunately the relationship came to an abrupt ending after three weeks. My confidence grew and I no longer hated myself for being gay - actually I grew to accept it and just move on. As I became more and more comfortable with myself and in my own skin, I eventually came out as being gay to my family and I think they all seemed to have a sigh of relief – most of them had guessed and were just waiting for me to feel like I could comfortably talk about it with them. My mum would always remind me that sexuality forms only 1% of who a person is and I found that helped me discover my own identity a great deal. After college, I moved 300 miles away from my hometown of Liverpool to Brighton to study Business and Management with Marketing at the University of Sussex. During my time at University, I had built up a very strong CV in marketing and management. 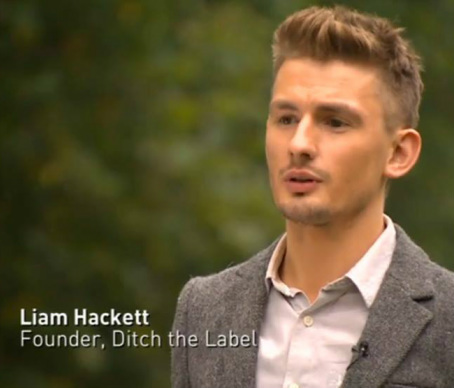 The day after I graduated, I set up two organisations - the first, a digital marketing agency called Hackett & Tiger and the second, a national anti-bullying charity called Ditch the Label. Today, two years after graduating, I can honestly say that things really do get better. Both of my organisations have grown massively – Hackett & Tiger has worked with some of the UK’s fastest growing and most exciting brands and Ditch the Label has helped thousands upon thousands of young people overcome bullying in the UK. I am now a guest lecturer at the University of Sussex and teach on the MBA course. I have published academic journals and I wholeheartedly accept myself for who I am. In terms of my romantic life, I haven’t really had many boyfriends as I am very picky about what I go for. At the moment, I'm just focusing on my work and seeing what comes along. I believe that everybody has a soul partner out there somewhere, you just have to kiss a few frogs to find them! "One of the most important things that I have ever learnt is that bullies are often the most troubled of us all. Young people bully other young people usually because they are either being bullied or abused themselves or have difficult home lives." It just so happens that the guy from high school who outed me came out himself several years later. I don’t hold grudges against any of the kids who bullied me at school – it’s far better to channel that emotion into something that is positive. It is also incredibly important to speak up and talk to somebody about anything that is troubling you, even if it’s somebody that you don’t know. Organisations like Ditch the Label or Childline will be able to help you - support is always available. Towards the end of high school I did have a counselor who helped me a great deal – I could tell her things that I daren’t tell my mum! I would like to think that my story will show that so much good can come from total adversity. Good luck!
. . . click here to return to the home page . .